Christ goes to a well in Samaria and meets with a Samaritan woman there. He goes to a place and places himself in a situation others avoided. Setting things right in this world begins by going to places and into situations that others avoid. 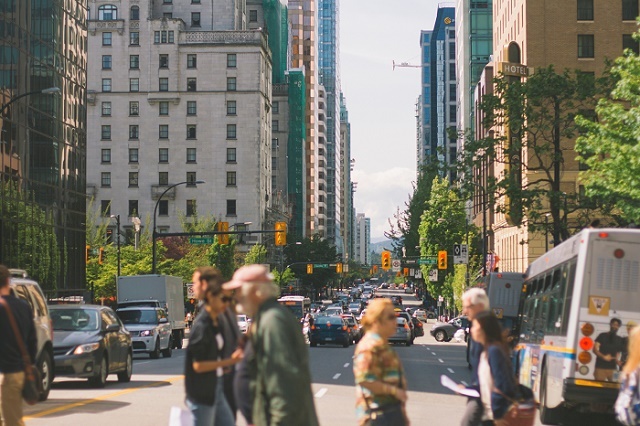 In many ways, under-resourced urban and rural communities are the way they are because they have been abandoned and are currently avoided by many. In our world, homelessness, incarceration, and addiction are seen as hopeless causes, quickly abandoned in favor of easier victories. Racial injustice is still an issue because too many people are avoiding engaging it as ambassadors of reconciliation and, as Dr. Martin Luther King Jr. regularly referred to himself, drum majors for justice. God in the form of Christ goes to the abandoned and avoided places. Christ calls the unqualified—fishermen, Samaritan women, and zealots—to join his army of right-side-up people. In Christ’s view, social challenges are opportunities for good news to be revealed, for transformation to occur. 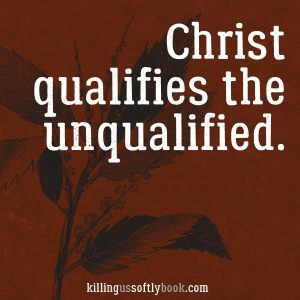 Christ calls the unqualified and qualifies them. Imagine what he can do through us when we refuse to disqualify people, when we have eyes to see transformation in every circumstance. When we go to the homeless, the incarcerated, and the addicted with the belief that there can be such transformation in their current circumstance, that they can become right-side-up change agents, we participate in Christ’s Kingdom revolution. When Christ sits at the well and the Samaritan woman arrives, he asks her for a drink of water. This was a strange request, considering the broken relations between men and women, Samaritans and Jews, at the time. But simply by going to this avoided place and asking for a drink from this outcast woman, Christ is dismantling an upside-down and broken system. We often read this encounter through a framework of individualism, featuring one woman meeting with Christ for her individual life transformation. But this reading of the story is a very limited understanding of the gospel. Yes, her life will be challenged through this meeting with Christ, but so will an upside-down system that marginalizes women. The Samaritan woman lets us in on this truth: It goes against the custom of the time or system, she reminds Jesus, for her to being having such a conversation across ethnicity and gender. It’s not just that Christ goes into the avoided places, but how he goes. He sits down and asks for a drink. When we look at the marginalized, outcast, and oppressed, it’s easy to just focus on what we can do for them. But even highly qualified people with upside-down hearts are able to feel pity and mercy for the less fortunate. The right-side-up people of the Kingdom of God are able to humble themselves before the less fortunate, believing that they can be blessed by them, and not just be a blessing. By taking this posture we become countercultural people in this world. We don’t just take a posture of humility and await a blessing in avoided places. There are also blessings awaiting us, and Kingdom work for us to do, in relation to uncomfortable situations and issues that people tend to want to avoid. How can we enter conflict with humility and the expectation of blessing? 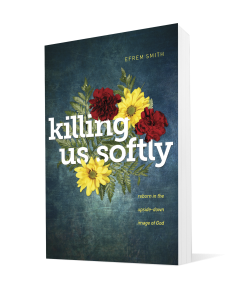 Our default mode for entering conflict—if we enter it at all—includes pride, arrogance, selfishness, and even violence. We may enter into conflict with past wounds, a dysfunctional spirit of blame, and prejudices. What if we made a commitment to enter into conflict with humility, grace, love, and a teachable spirit? What if we entered into each conflict expecting a blessing of forgiveness, reconciliation, and transformation? Such expectation and commitments would seem completely upside-down to people accustomed to life in a broken world, but in the Kingdom of God, such expectations and commitments are normal and good. When Christ entered Samaria, he was entering into a space of conflict, brokenness, and tension. He entered that space as the embodiment of God’s revolutionary love and reconciliation. How do we enter this upside-down world every day? Who and what do we really represent? Each day is a new opportunity to enter a broken world on behalf of God and God’s Kingdom. It’s important to spend intimate time with God, to set our hearts right, so that out of the overflow of that relationship we may enter into this world as someone other. We enter the broken spaces of this world not of our own accord. We enter representing an agenda beyond our own. We enter out of obedience to our heavenly Father, who longs to turn our world right-side up. This posture of humility and the awaiting of blessing is also what we must bring into the challenging issue of race, racial division, and racism. It’s what will deal with the lingering and continual impact of privilege and victimization. As ambassadors of reconciliation we have a missional obligation to enter into this broken space. But we can’t enter this space expecting the Kingdom of God to show up if we enter in with sustained anger, bitterness, ignorance, arrogance, unforgiveness, and privilege. Racial division and injustice are killing us. Lives are literally being lost because of how race and racism function in this upside-down world. This evil force kills our ability to communicate, reconcile, and develop harmonious community. We must come into this upside-down space as listeners, learners, and with repentant hearts. This is where we can again allow God to kill us softly, re-creating us as ambassadors of reconciliation (2 Corinthians 5:18-19). God can open our eyes to how multiethnic and multicultural the Bible is. God can lead us into encounters with churches culturally different from the ones we grew up in or currently attend. As we allow God to do this soul surgery on us, our lives will be recalibrated to accommodate a more diverse community.